Aleddra’s T8 is a simple and cost-effective option for providing emergency lighting during a power outage. The T8 can be used as a regular lamp on line voltage (ballast bypass), and a fully integrated battery will provide backup power for more than 90 minutes during an outage. The battery features over-charging and over-discharging protection, ensuring 800 recharging cycles. 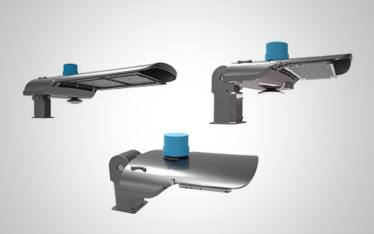 Aleddra’s 4th Generation LED Shoebox is an efficient replacement for existing parking lot lighting luminaires. Accessories are available for square or round poles and wall mounting. 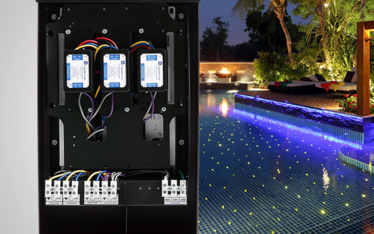 Qtran's exterior Pool & Spa rated electronic LED power supplies are available with a variety of control and dimming options for exterior lighting projects with demanding conditions. Liton's frameless recessed LumenPads eliminate the need for a recessed housing. 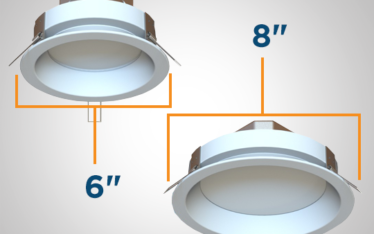 The easy to install slim form factor is perfect for ceilings with narrow plenums.